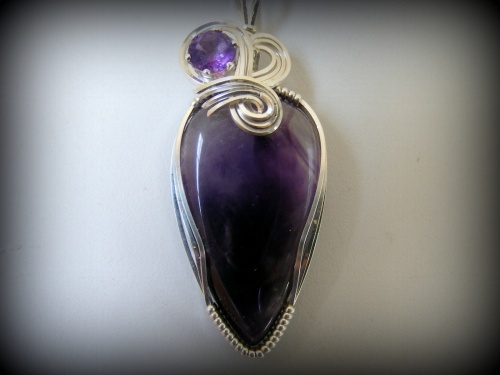 This Amethyst is dripping in royal colored purples for all purple lovers. 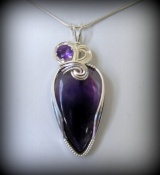 Topped with a 6mm faceted 1 carat Amethyst and framed with .925 sterling silver curls. 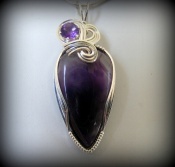 This one of a kind piece measures 2" from top of bail to bottom of pendant and 3/4" wide. Comes with a sterling silver snake chain.